Hello! Sorry for no video last week, did you miss me?? 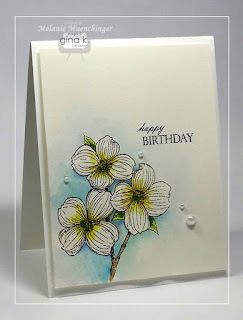 Today I will try to make up for it by showing you how to create a simple card that looks like anything but with the intricately detailed Arranged with Love frame stamp and waterbased markers. Blended colors with Zig Clean Color markers and a brush create bold and subtle tones, and the gold embossing makes it extra special. 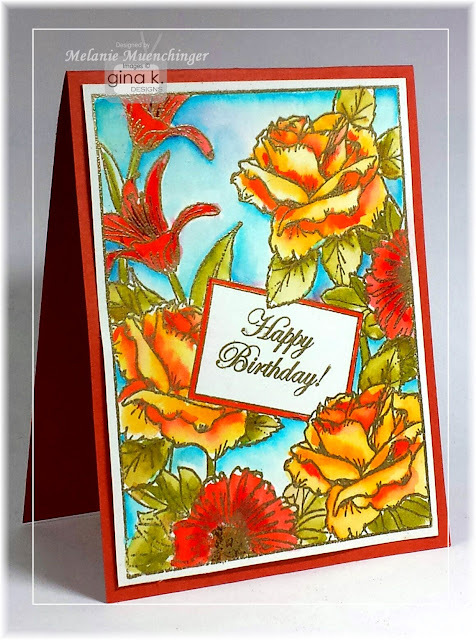 Watercoloring is both freeing and forgiving, and produces a dramatic, one-of-a-kind card every time! This frame and its year round greetings (now in clear!) work for any season just by changing the color palette. Please enjoy! If you like coloring *these* flowers, consider A Year of Flowers also, a must have set for your stamping tool box!! Hello! 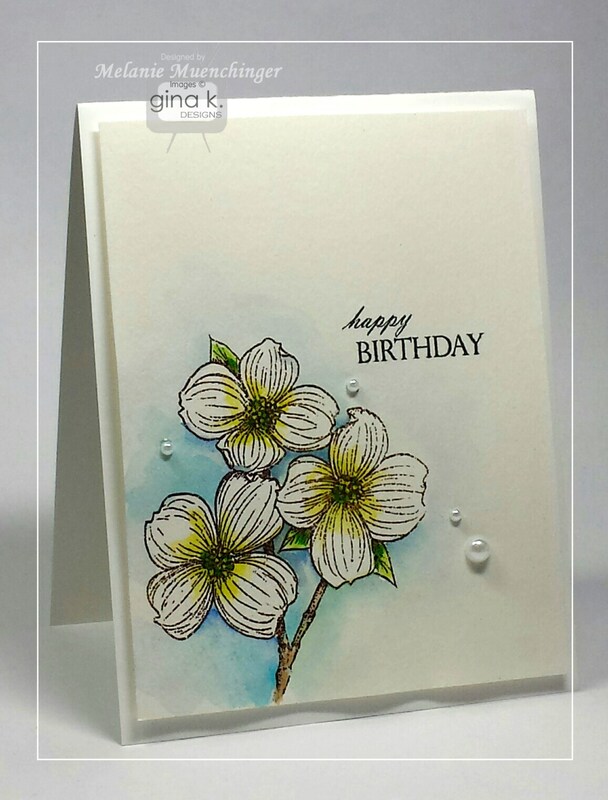 Today I'll show you how to color the embossed dogwood flowers from my Stately Flowers 10 with Zig Clean Color markers and a water brush. These markers on watercolor paper can go bold or subtle and allow you to create amazing effects! This flower branch can be stamped in any corner of your layout for a beautiful, clean and simple design. I shared this card in our hop and got lots of emails to demonstrate it, and I think the one in the video turned out even prettier! Don't overthink the colors, just let the colors run! Please enjoy! Let me know A or B in the comments! Best price I've seen on this set, click below! It's been hard to keep this a secret, but the secret is out! Gina, Theresa, Sean, Karen and I have have arranged a fantastic 3 day even for you in Greendale, WI if you are able to get in on registration! Check out the amazing line up of events and stampy swag you'll be taking home if you do! We have some other surprised lined up as well, and I can't wait till you see the new stamps we'll be working with you and you'll get for free! Click on the photo to maximize the details and see the agenda! Gina said the calls are already coming in since her announcement this morning, but space is limited, so don't delay if you don't want to miss the biggest event Gina K. designs has put together!! I can't wait to see the roster once spots are confirmed of who I'll be partying and crafting with! Yes!!! I've only gotten to meet Gina once in all our time working together, and NEVER met my other team members, so hanging at the store for several days with our StampTV fans is just a dream come true in so many ways! :) Doesn't hurt that the village of Greendale is historic, perfect for tourists, and beautiful weather and fall colors that time of year. Counting the seconds till I go on this marvelous adventure!